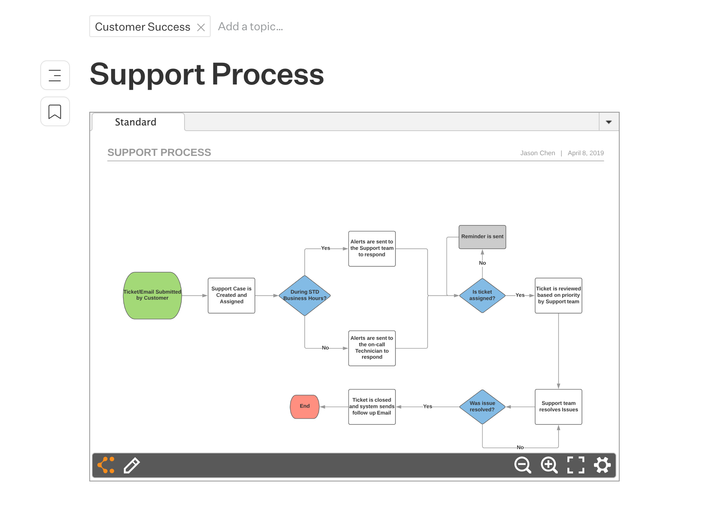 Keep your Lucidchart flowcharts right alongside your Slab Posts. In a Slab Post, simply paste in a link to a Lucidchart file and we will embed a rich, live preview. This way you can keep all your content in the same place: no more hunting for links or keeping multiple tabs open.